Liebster Award – cheers to that! Thank you to the lovely Kelly at Yes Peas Mumma for the nomination for the blogging award. Happy dance time! 1. Are you a chocolate or a lolly kind of person? Chocolate. Always and forever 🙂 Although I love red frogs! 2. What is your favourite children’s movie? Aladdin. I still remember almost all of the words from when I watched it when I was younger, and now annoy my six year old when I sing along during the movie. 3. Tell me five things I would see when I walked in your house. #1 Jogger pram randomly parked in entranceway as there is no other spot for it. #2 Tupperware containers most likely on the floor after being pulled out of cupboard by our toddler. #3 Books. We have about 800 books in our house. We love to read. #4 Our dogs. They like to hang out inside the house with me when I’m home. #5 Photos of our family and friends. 4. Who would play me in a movie? Is this where I choose someone super glamorous? 🙂 I asked my husband this question, he thinks Julia Roberts or Gwyneth Paltrow. I honestly have no idea. 5. Give me three words that best describe you? Introvert. Funny. Kind. 6. What do you usually do when you have leisure time on your hands? Coffee, good book or episode of trashy tv I’ve recorded, or try to potter about in the garden if the weather is good. 7. What is your strongest talent? Getting stuff done. I was super organised before kids and thrived on deadlines and working through a list of stuff like a woman possessed (type A personality). Now with kids, my memory isn’t as strong as it used to be (check out my post on not being able to remember passwords) so I rely more on lists to remind me about what needs to be done, but I can still be counted on to make sure it all happens, when it is supposed to happen. I’m also good at being able to make a friend laugh when they need cheering up. 8. What age do you consider old? Why? When I was in high school, I used to think 30 was ancient. Now I’m starting to edge closer to 40 than 30, it doesn’t seem that old anymore! I guess it depends on how you’re defining age. My dad is in his 60s and can still keep up with cycling 100km with my brother, so I don’t think that’s old. It comes down to what you’re wanting to be able to do. 9. Do you have a bad habit? What is it? Eating too much chocolate. But life is too short to not, right? 10. What is your favourite childhood memory? Reading books with my grandma. 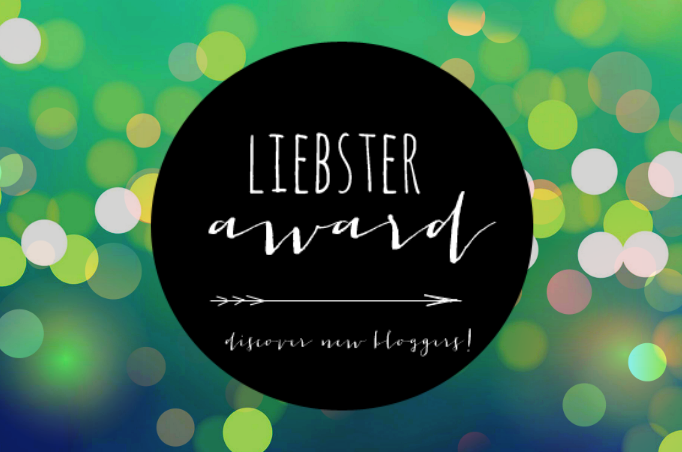 I think the following blogs are pretty awesome and you should definitely check them out 🙂 I’m nominating them for the Liebster Award too. Now for those bloggers I nominated for the Liebster Award, I’d love for you to answer the same questions I was given! Great choice of questions, Yes Peas Mumma. I love all your answers! These are so fun to read to learn more about my blogosphere friends, congrats! Congrats and big thank you for nominating me for the award! I look forward to answering the questions – hope I do as good a job as you! Cheers!